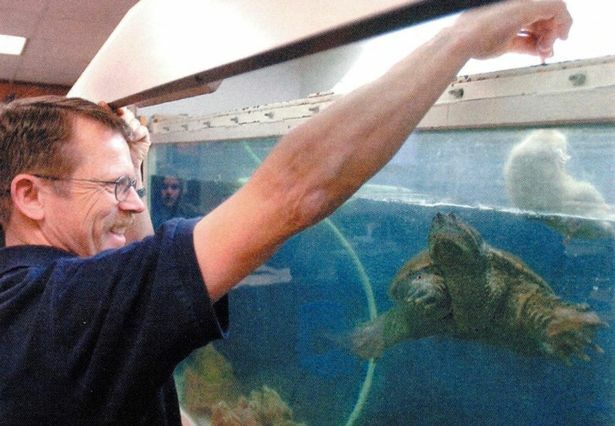 A science teacher was found not guilty of animal cruelty after feeding a puppy to a snapping turtle in his classroom. The man Robert Crosland who teaches at Preston junior high In Idaho believed he was putting the puppy out of its misery. Witnesses to the horrific incident included students but local reports say that the situation occurred outside of school hours. Crosland was convicted of animal cruelty in June but was ultimately found not guilty. According to Crosland, the puppy had severe deformities and he “didn’t want the puppy to suffer”. Earlier that day he tried to feed the puppy to a python. If convicted he could have faced six months in jail and a $5,000 fine. A petition that was set up by parents received 240,000 signatures to get Crosland fired. Nonetheless, he was found not guilty.